Your Guide To Drinking This Weekend: The Last Word | Birth.Movies.Death. 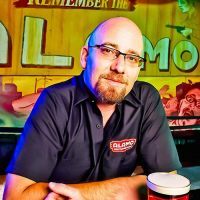 Alamo Drafthouse Beverage Director Bill Norris guides you your weekend's beverage consumption. This week: The Last Word. Some drinks combine a great story and an unexpected combination of ingredients that shouldn’t, logically, work well together, creating a masterpiece where the whole is greater than the sum of its parts. Toss in a resurrection story and two bottles that should be a part of every serious home bar, and you’ve got The Last Word, an implausibly great cocktail with, unusually, a well-defined origin, and a clear path to our modern consciousness. The Last Word first appears in print in the above quoted Bottoms Up, and the timing and credit places its creation near the start of prohibition. 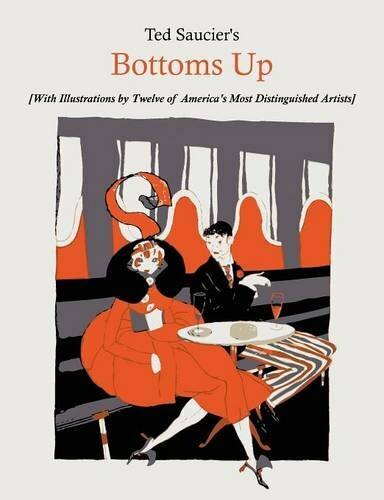 Saucier goes on to note that Fogarty first made the drink at the Detroit Athletic Club, a venerable social club located less than three miles from the watery boundary between the US and Canada. The Detroit River, a crossing that is less than a mile across in many places, was more than a little porous during the Great Experiment, with some estimates guessing that 75 percent of the booze consumed in the United States during prohibition made its way into the country across the river. Detroit was more than a little wet during the time when it was officially dry, and the route from Canada provided the opportunity not just for Canadian whiskey, but also for imported liqueurs and spirits from Europe, something important to the Last Word. The Last Word is a blend of four incredibly assertive ingredients, each of which can dominate a drink and overwhelm its partners if not carefully attended. Two of those ingredients are more commonly used in smaller measures, a half ounce here, a bar spoon there, a dash or two elsewhere. But in the Last Word, all four stand together in equal parts, an unorthodox approach that yields surprising dividends, a deep complexity and unexpected harmony. As noted bartender Audrey Saunders of New York has noted of the Last Word, "I love the sharp, pungent drinks, and this has a good bite. It's a great palate cleanser. And it's perfectly balanced: A little sour, a little sweet, a little pungent." Mr. Fogarty, Meet Mr. Stenson. While history does not record much more of Frank Fogarty’s mixological bent beyond The Last Word, it does note that he was one of the best known monologists of the Vaudeville era, and according to Brett Page's Writing for Vaudeville, he often began his act with a song, followed by a bit of what we would now call stand-up comedy, and finished up with a “serious heart-throb recitation.” In a 1912 interview with The New York Morning Telegraph, Fogarty outlined his philosophy: “The single thing I work to attain in any gag is brevity. You can kill the whole point of a gag by merely [using one] unnecessary word.” The same can be said of The Last Word, where any element unnecessarily out of balance knocks the whole drink out of whack. Fogarty traveled widely after being elevated to headliner status at The Victoria Theater in Times Square by William Hammerstein and at some point must have crossed paths with Saucier, the publicist for four decades for the Waldorf Astoria Hotel. Sadly, as the 1950s morphed into the 1960s and 1970s and America’s cocktail culture went down the tubes, the Last Word was lost until, in 2004, Seattle bartender Murray Stenson plucked it out of Saucier’s book for his menu at the Zig Zag Café. Stenson is that rare breed of bartender that can mix a great drink, control a barroom with his eyes and always be a consummate host, ready with a refill, quip or story. He has mentored some of the finest bartenders in the country, almost never forgets a face and is single-handedly responsible for the Last Word cropping up on cocktail menus all over the United States and beyond. He is one of the most beloved figures in the craft bar scene, and has earned every ounce of the tons of respect he is given by bartenders the world over. These days, Murray, at 62 years old, is behind the stick at Seattle’s Canon and the chance to sit at his bar is worth the cost of travel to Seattle. Given Murray’s sense of humor, it is not a stretch to think that he and Fogarty would have gotten on quite well. The four ingredients in the Last Word are gin, Green Chartreuse, Maraschino Liqueur and fresh lime juice. We’ve covered lime juice and gin in the past, but have yet to delve into chartreuse and maraschino. Both are ancient, classic liqueurs that belong on the shelf of any bar worth its fancy ice and mustachioed bartenders. But both can also be abused. Chartreuse has been made by Carthusian Monks since the 1600s and is, in the green version, a 110 proof spirit flavored with over 130 herbs derived from a 1605 alchemical recipe for an Elixir of Life. To get a sense of how long this stuff has been around, linguistically speaking, the color chartreuse takes its name from the liqueur, not the other way around. At any given time, only two monks (the order has a vow of silence) know the complete recipe and the complete recipe is written on only one piece of paper that has been separated into four pieces and is kept in safe deposit boxes in four different countries. Through the years, there have been efforts to counterfeit or copy Chartreuse, but none has come close to the original; indeed for a brief period in the early 1900s, the monks were exiled from France to Spain, and a corporation attempted to mimic their product, using the Carthusian distillery. Less than 25 years later, the company was bankrupt and the monks were welcomed back to France, where they have been happily producing Chartreuse in silence ever since. Chartreuse is a glorious, powerful spirit. In addition to the green, there are other varieties, including a sweeter, lower-proof yellow version, and aged versions of both the green and the yellow (VEP) that are well worth seeking out for sipping. But, for the Last Word, we need the green, with its high alcohol content and deep, herbal complexity. Maraschino Liqueur has nothing to do with the toxic red cherries known as maraschino cherries. Like Chartreuse, it is an ancient product, first distilled by monks in the 16th Century Dalmatia (today’s Croatia), and first industrially produced in the city of Zara in 1759. It is a bitter-sweet distillation of the Marasaca Cherry, including its crushed pits and sometimes its leaves and stems, sweetened with honey, and aged in ashwood vats for at least two years. The crushed pits add an almost almond like flavor to the finished product, and it has a pleasing funkiness that cuts through its sweetness. Most of Zara was destroyed by bombing during World War II and the Italian community was forced out of the region by Tito as he rose to power post war. Two prominent distilleries remain, the best known being Luxardo (Italian) and Maraska (Croatian). Both brands have their partisans. The Maraska is sweeter than and perhaps not as complex as the Luxardo, but more importantly for the Last Word, the Luxardo has more of that pleasing, slightly elusive funkiness. Some of the je ne sais quoi of the Last Word comes from the interplay between the liqueurs, and that funkiness starts to feel important when you’re mixing three quarters of an ounce of each product together. Either will work, but the Luxardo is the standard bearer here. It’s also Murray’s choice, and that should be good enough for all of us. One final note: Stock makes a product they call a Maraschino Liqueur. It is not fit for human consumption and should be avoided. When the Last Word cropped up on the Zig Zag Menu, it spread through the cocktail community in Seattle, then south to Portland, and finally east to New York, and then all over the country. It is an eye opening drink, one that turns mixological convention on its head. That much liqueur, with that little juice and base spirit just shouldn’t work. The flavors shouldn’t come into harmony. It should be nasty. And it is sublime. Because the Last Word is so good, bartenders have taken it upon themselves to create variations with different base spirits, different citrus or different herbal liqueurs in place of either the Chartreuse or Maraschino. The best known, from Phil Ward, owner of New York’s PDT, is the Final Ward, which substitutes high proof rye for the gin and lemon for the lime. Pete’s Word, from New York’s Death & Co, places incredibly smoky Laphroaig Single Malt Scotch in the drink in place of the gin. Feel free to play around, just don’t forget to measure your ingredients - you don’t want an unnecessary word ruining the gag. Combine all ingredients in mixing glass with ice and shake until very cold. Strain into a chilled cocktail glass. No garnish. Combine all ingredients in a mixing glass with ice and shake until very cold. Strain into a chilled cocktail glass. No garnish. Combine all ingredients in a mixing glass with ice and shake until very cold. Strain into a chilled cocktail glass and garnish with a flamed lemon peel. Unlike the others here, this isn’t really a true variation, as it veers from the equal parts formula, but when Meyer Lemons are available, it’s quite a treat. I created this drink many years ago, and I go back to it quite a lot when the Meyer tree in my yard has ripe fruit. Last week's post: The Mojito. Read Bill's Cocktails With Mad Men Series here.